The DL350 Portable ScopeCorder combines all the measurement and recording capabilities you need when you are away from your office or lab - all in one compact instrument. 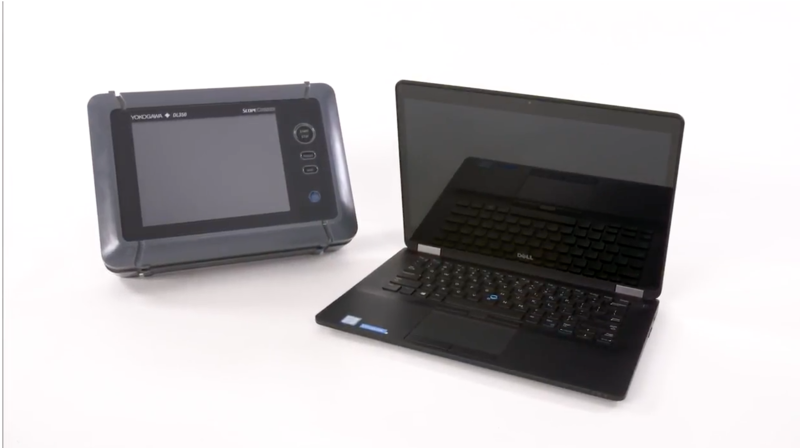 Featuring a resistive touch screen, the DL350 provides the flexibility you need when you need it. 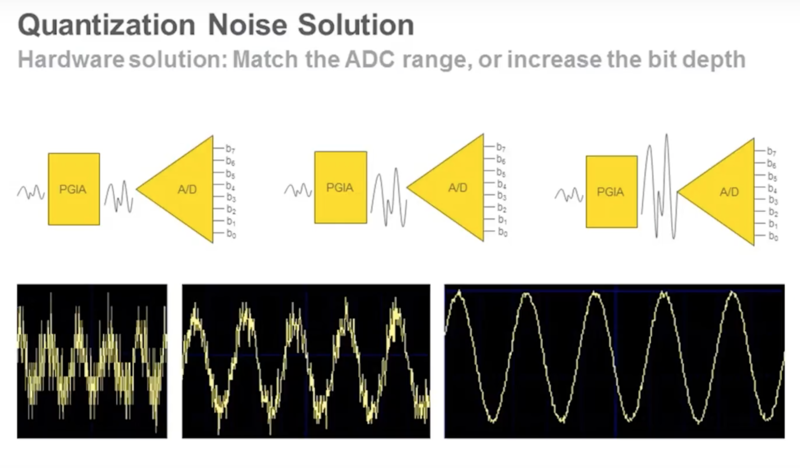 Whether you are recording high-speed transients or long-term signals, using “quick and simple” setup or advanced features, the DL350 makes complete measurements completely portable. 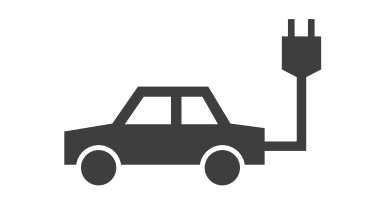 Up to 20 Gpoints* of data per module can be recorded directly to an SD card. This means that the DL350 can be used for continuous recording for up to 50 days. For high speed signals, up to 100 M points per module of internal memory is available to capture fast transients. 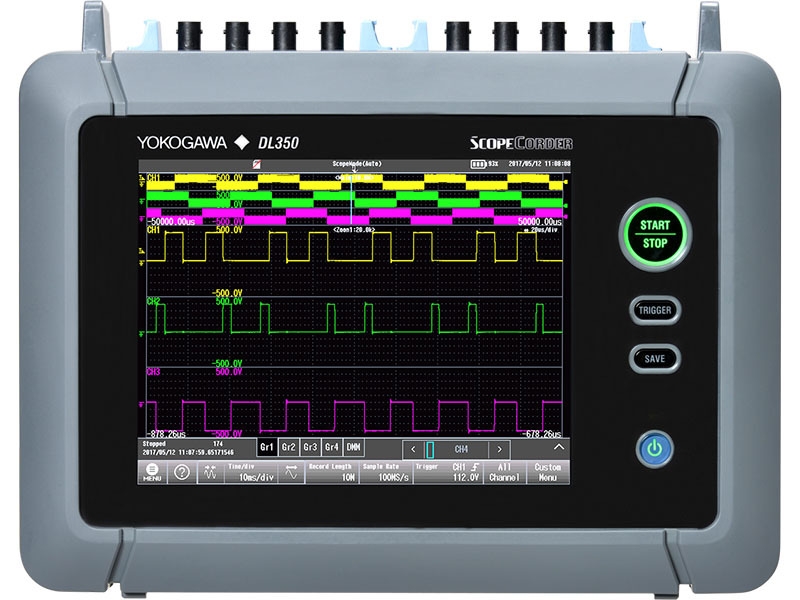 This is up to 10,000 times more than other portable oscilloscopes or test tools and thus signals can be captured with higher sample rates or for much longer periods. * The firmware version 1.20 or later is required. The power in single- and 3-phase systems can be evaluated. 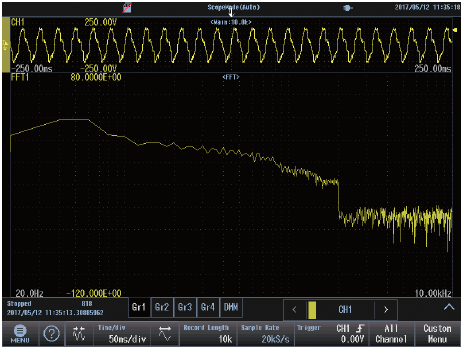 Additionally for fundamental waveforms of 50 or 60 Hz, up to 40 harmonic orders can be analyzed. 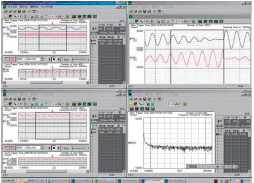 Alternatively use the suite of FFT functions to perform full frequency analysis. 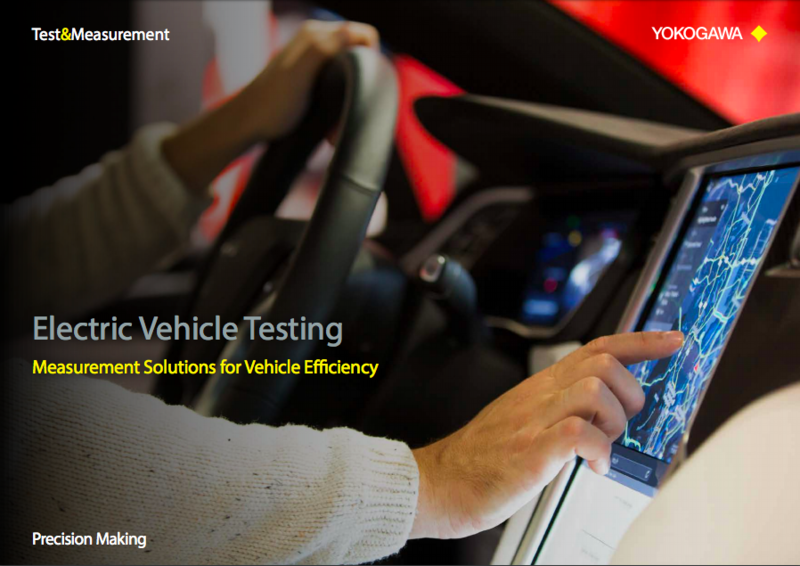 Instruments used for in-vehicle driving tests or field maintenance must be able to make reliable measurements. The DL350 has an aluminum inner frame and an external rubber bumper and conforms to the Japanese JIS D1601 standard for resisting in-vehicle shock and vibration. Even when used with the rechargeable battery, the DL350 will operate in temperatures from 0 to 45 degrees. The DL350 brings high-quality laboratory measurements into the harsh environments of the field. 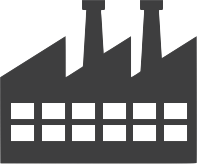 The user has a choice of a simple level trigger or can use enhanced triggers such as pulse width, waveform period and triggers across multiple channels. 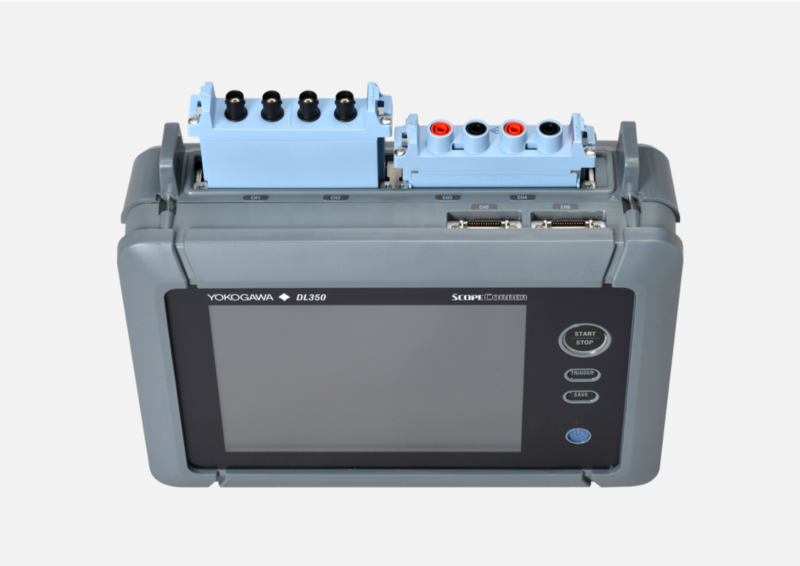 For example, the wave window trigger is ideal for AC power line monitoring which enables voltage sags, surges, spikes, phase shifts or drop outs to be easily captured (available for 40 to 1,000 Hz waveforms). Leave a DL350 unattended and automatically save the waveform to a file or send a notification email if and when it triggers. 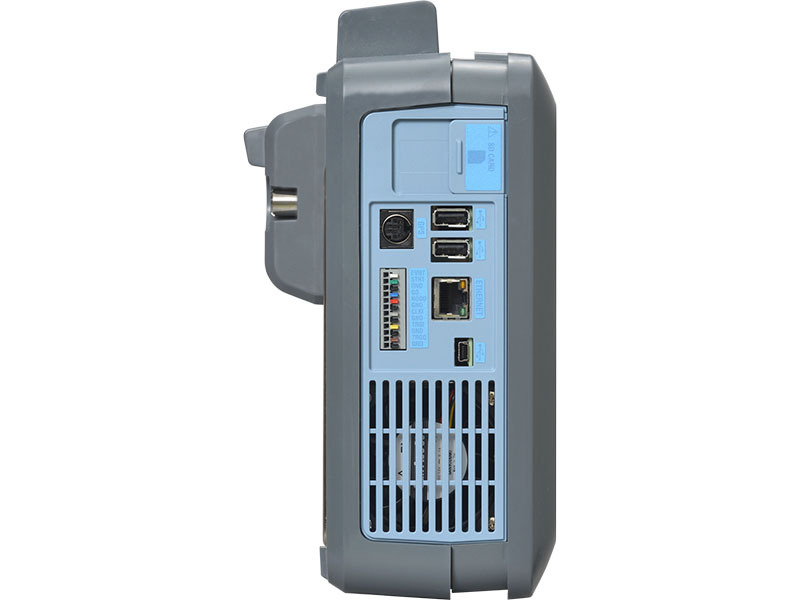 Use the DL350 with /VE option and bus monitor module to decode CAN/CAN FD bus, LIN bus or SENT signals and display information such as engine temperature, vehicle speed and brake pedal position as trend waveforms and compare this with the analog data coming from the actual sensors. 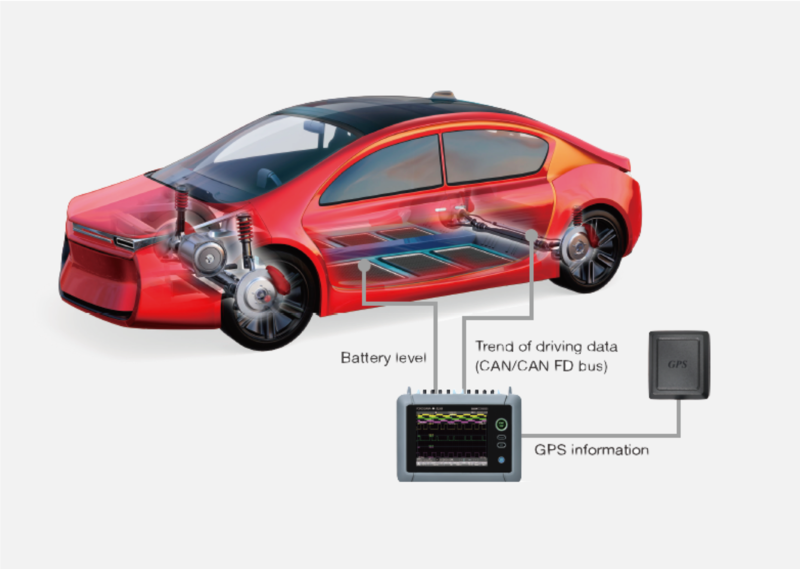 This enables automotive engineers to gain an insight into the dynamic behavior of the complete electromechanical system. 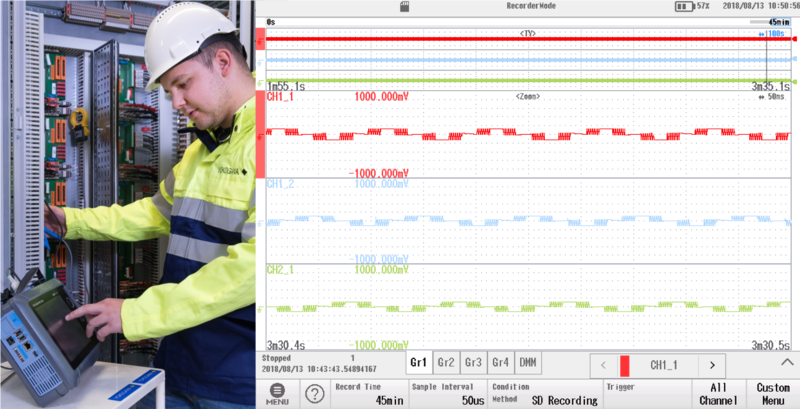 Memory recorder mode simplifies data recording for maintenance and monitoring tasks. The DL350 offers a choice of operating modes, including recorder mode, which makes it easier than ever to set up long-term data recordings. Choose Easy Setup, and the setup wizard quickly guides the operator through the entire setup process. 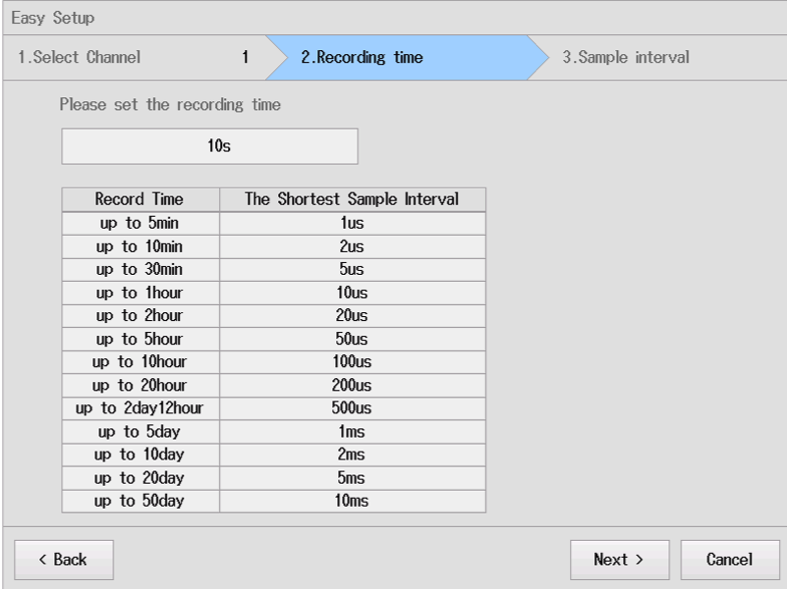 Just select the desired channels, recording duration, and sampling interval, and press Start! Choosing Easy Setup opens a guided, three-step process to begin recording for up to 50 days. 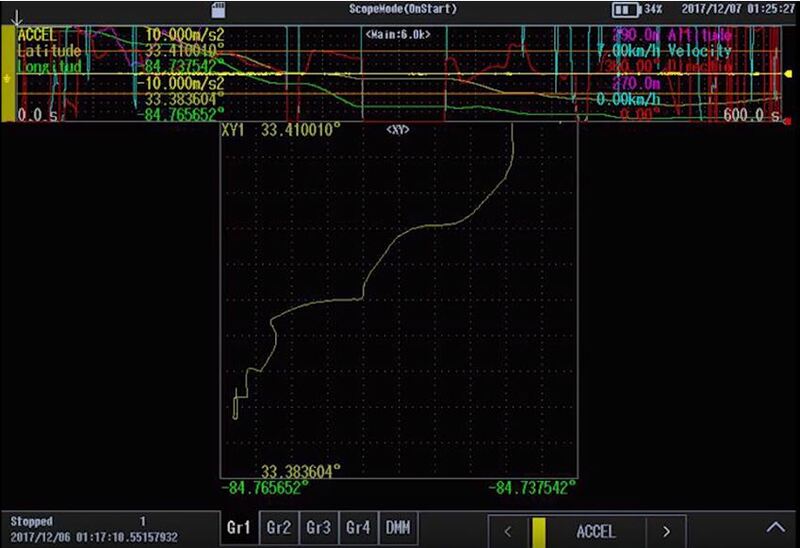 Use the touchscreen during recording to scroll across the entire data set. 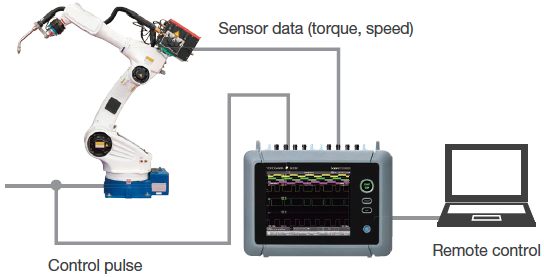 Combining position, altitude, and motion data with precise timing, location-based data acquisition is easy with the DL350. 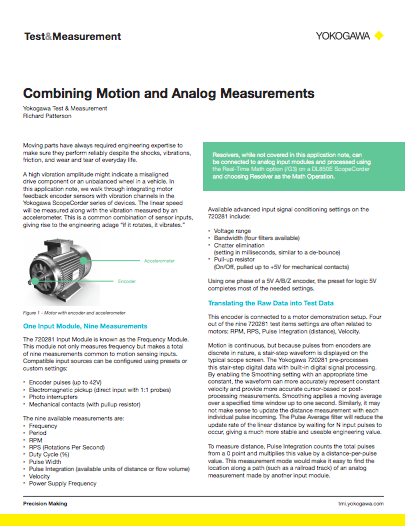 Capture data from motion accelerometers synchronized with other analog data. 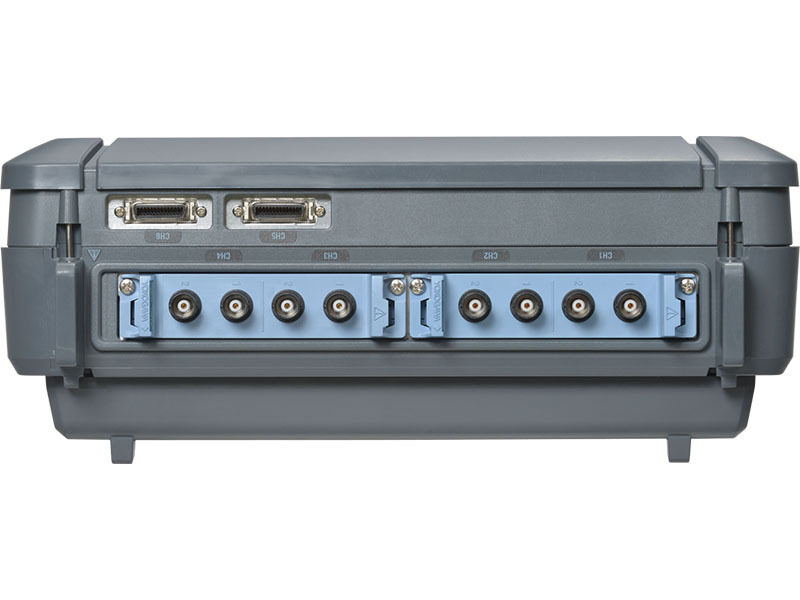 The DL350 series ScopeCorder features input modules and functions to make this possible. 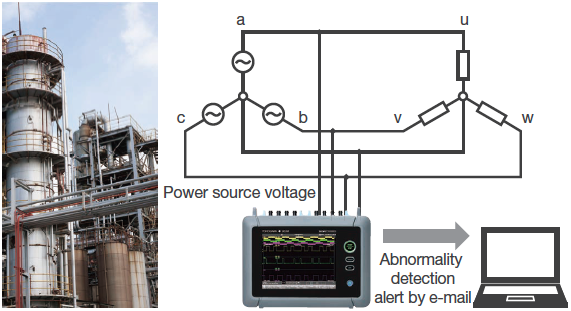 By using a wave-window trigger, voltage sags, surges, spikes and dropouts can be detected and captured. Multi-phase voltages up to 1 kVrms and 1.4 kV peak can be recorded using 720268 high-voltage isolation modules. 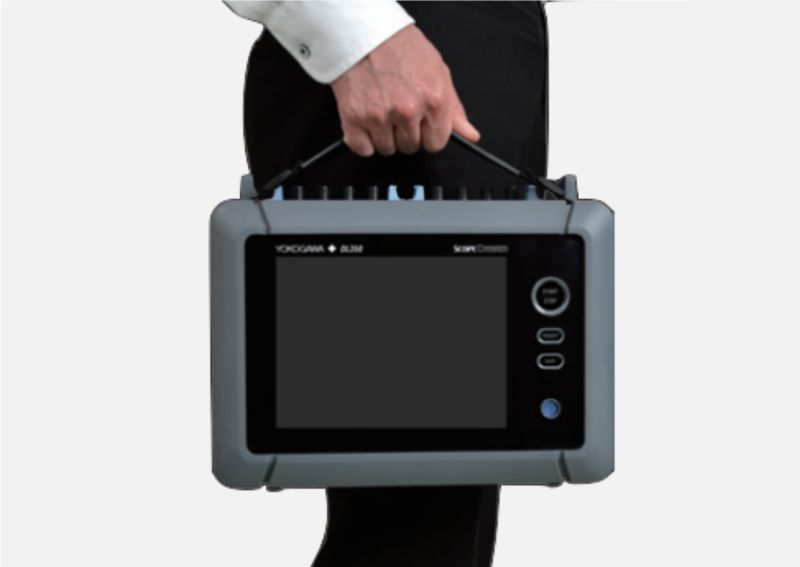 In the case of unattended operation, waveforms can be saved, or an e-mail sent, when the DL350 is triggered. 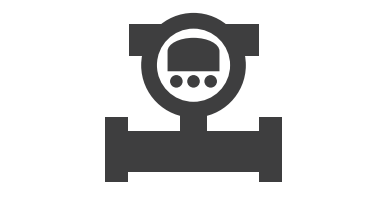 It is possible to monitor and record the control signals to the servomotors and their speed and torque at the same time. 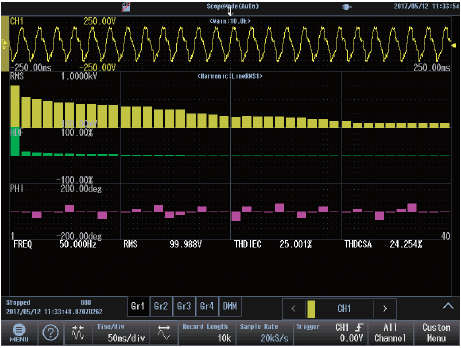 For condition monitoring, FFT analysis can be used on the vibration signals from accelerometers to help identify potential failures in machines or components. Remote operation is available using the ‘assistant software’ or the input/output terminals making it potentially safer to use. This is a software license allowing users to add “vehicle edition”, a software option for the DL350 ScopeCorder, by themselves after purchasing the main unit. Data files or setup configuration files stored in the DL350 SD card can be backed up with the press of a button. Remote setting, start-stop control and setup file editing can also be easily done on the connected PC. 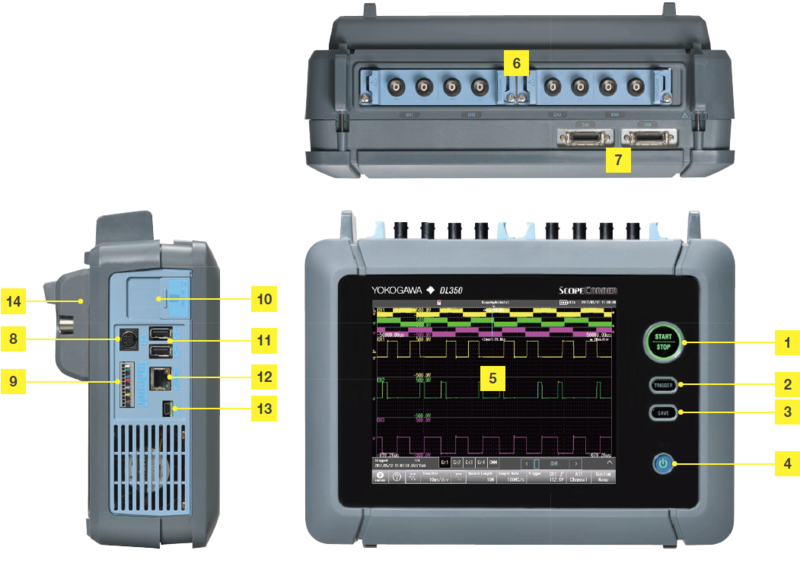 Remote control and waveform display monitoring of a DL350 via USB or Ethernet. 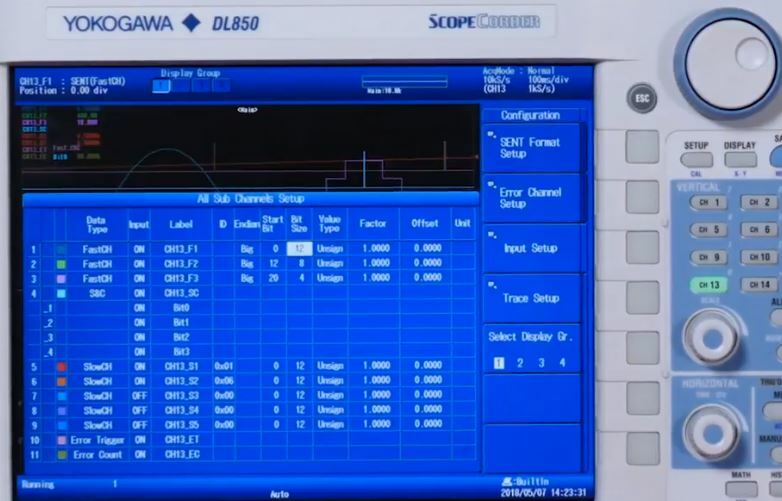 Load waveforms captured by the DL350 and display, zoom, and export the data to the popular CSV format. 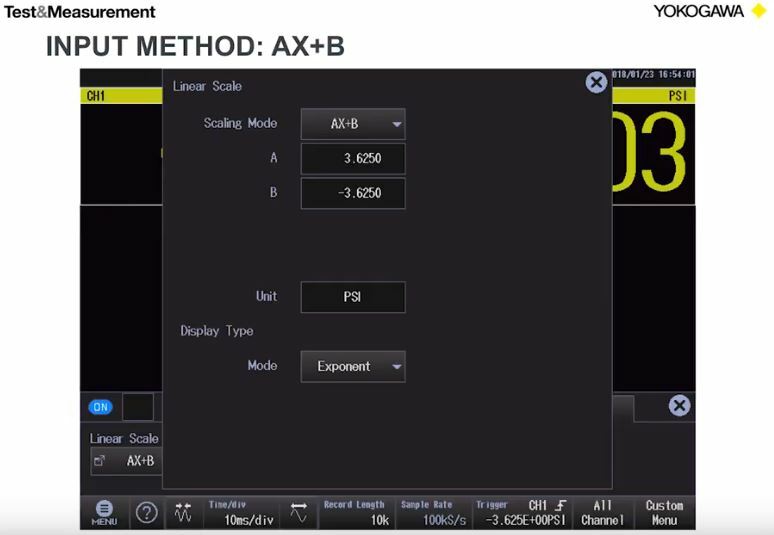 The full version of XViewer also enables parameter measurement, statistical analysis, FFT, and filtering. National Instruments LabVIEW Driver for DL350 is available. 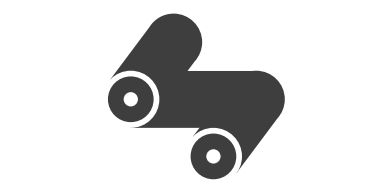 WDF File Access Library is the API to access waveform data files saved in WDF format. Use the data plugin to load DL350 measurement data and GPS data (latitude, longitude, altitude, speed and motion direction) into NI DIAdem. Compared to the reference product DL850E, CO2 emission was reduced by about 70%. 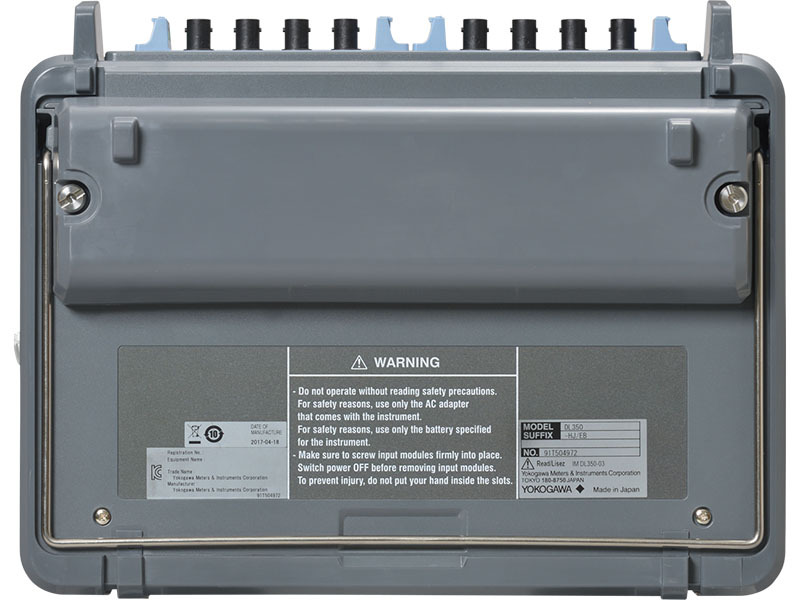 Rated supply voltage 10 to 30 VDC (at the DL350 connector end). Maximum power consumption 45 W.
Withstand voltage (when the power is turned off or charging is stopped). DC power cable Cigarette lighter plug Type, length: 2.5 m.
This is an AC Adaptor for the DL350 Portable Scopecorder available for use in multiple global regions (North America adaptor pictured). Battery pack cover for the 739883 Batery pack.